Have you ever been in a cemetery and saw coins laying on a tombstone? There is actually a reason behind it. 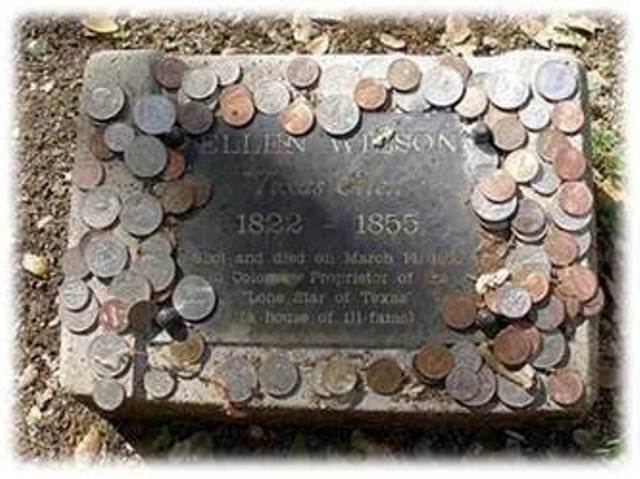 While visiting some cemeteries you may notice that headstones marking certain graves have coins on them, left by previous visitors to the grave. These coins have distinct meanings when left on the headstones of those who gave their life while serving in America’s military, and these meanings vary depending on the denomination of coin. A coin left on a headstone or at the grave site is meant as a message to the deceased soldier’s family that someone else has visited the grave to pay respect. Leaving a penny at the grave means simply that you visited. A nickel indicates that you and the deceased trained at boot camp together, while a dime means you served with him in some capacity. By leaving a quarter at the grave, you are telling the family that you were with the solider when he was killed. According to tradition, the money left at graves in national cemeteries and state veterans cemeteries is eventually collected, and the funds are put toward maintaining the cemetery or paying burial costs for indigent veterans. In the US, this practice became common during the Vietnam war, due to the political divide in the country over the war; leaving a coin was seen as a more practical way to communicate that you had visited the grave than contacting the soldier’s family, which could evolve into an uncomfortable argument over politics relating to the war. Some Vietnam veterans would leave coins as a “down payment” to buy their fallen comrades a beer or play a hand of cards when they would finally be reunited. The tradition of leaving coins on the headstones of military men and women can be traced to as far back as the Roman Empire.